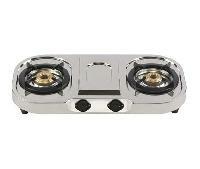 Elegant Separate Pan Support, Material - Stainless Steel, Finish - Brush Silver, Ignition - Normal, Size (MM) (632x512x52)mm. 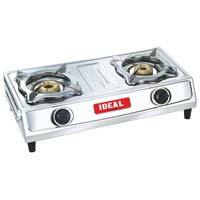 We are offering stainless steel gas stove. 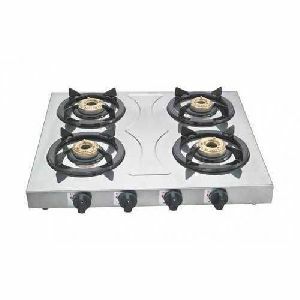 2 b ss gas stove. 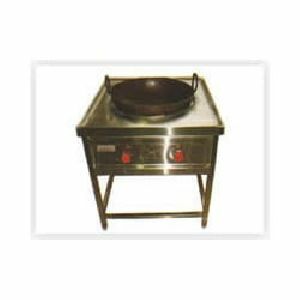 We are the iso certified manufacturers and suppliers of canteen equipments like bain marie. 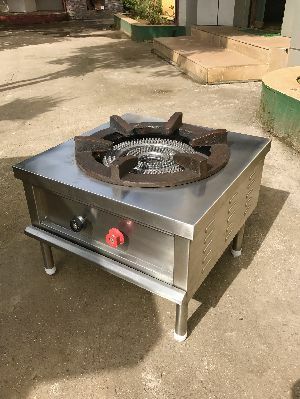 It is a food service counter used for delivering worm food. It is used in corporate company as well as in restaurants. Experts' assistance is what makes our packaging reliable and highly durable as well. The packaging material used is certified and experts approved to ensure complete safety. We facilitate trade by providing you varied payment options like payment through online as well as offline modes. 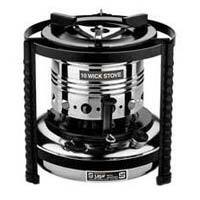 The `REEJA’ Mild Steel Wick Stove will make anybody’s heart skip a beat. 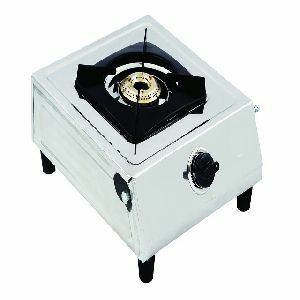 With features like a steady, even blue flame that is comparable to a gas stove, and a cut of 20-30% in kerosene consumption. 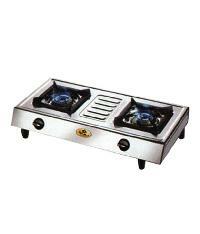 FEATURES Strong Stainless Steel Body Three pin brass burners. Heavy MS coated pan supports. 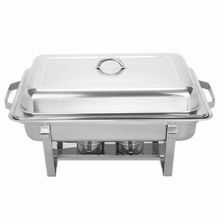 Stainless Steel spill tray. Smooth Operating bakelite knob. Designed for easy & hygienic cleaning. 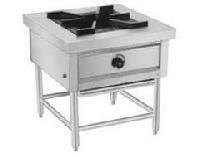 If looking for a trusted firm for acquiring Manual Stainless Steel Gas Stoves , then you have come to the right place. 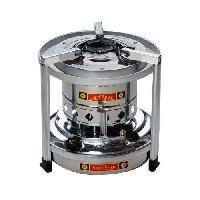 We are Haryana; India based Manufacturer & Supplier of Manual Stainless Steel Gas Stoves. 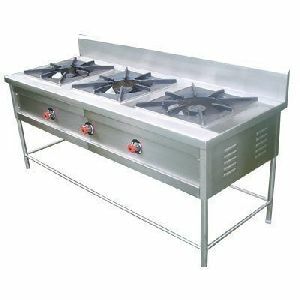 Our Manual Stainless Steel Gas Stoves are noted for their brilliant quality, cost-effectiveness, strong body and pocket-friendliness. 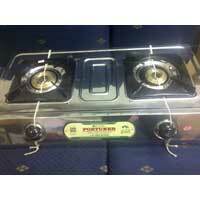 Interested buyers can easily acquire them at moderate prices, from us. 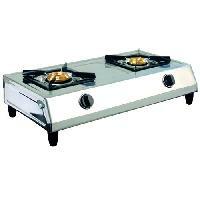 Our domain expertise lies in manufacturing & supplying of Stainless Steel LPG Stoves throughout the Indian market. 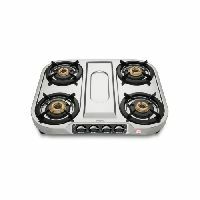 Manufactured under the direction of experts, our Stainless Steel LPG Stoves are the perfect option on which buyers can easily rely. With us, buyers are free to place orders and can expect timely deliveries. For prices quotes, get in touch with us, today! 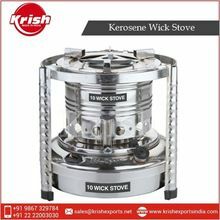 We are a prominent names in the industry engaged in manufacturing and supplying a premium quality range of stainless steel wick stove. 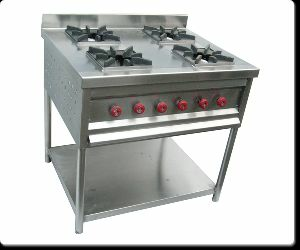 Robustly constructed from the superior quality material , these products are widely demanded in the industry. 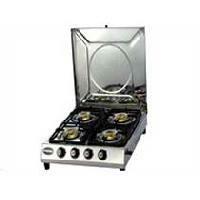 We offer these products in various sizes and specifications as per the needs of the customers. 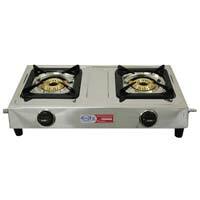 The company is engaged in the manufacturing and supplying of Stainless Steel Gas Stove all across the country. 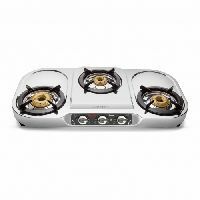 The range of Stainless Steel Gas Stoves, offered by us, includes Atlantica Stainless Steel Gas Stove, Classica Stainless Steel Gas Stove, and Eureka Stainless Steel Gas Stove. 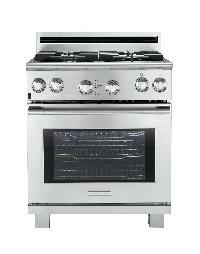 These Stainless Steel Gas Stoves are known for their rust proof and durable steel and compact design. Located in Narasaraopet(India), ours is the name trusted for meeting the exact requirements of the clients. With us, buyers are free to place orders and can expect timely deliveries of the same. 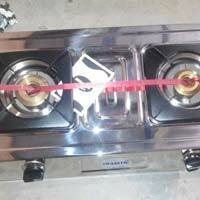 We are offering stainless steel gas stove. 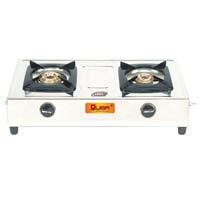 We are a premier manufacturer and exporter of biogas s.s double burner stoves. 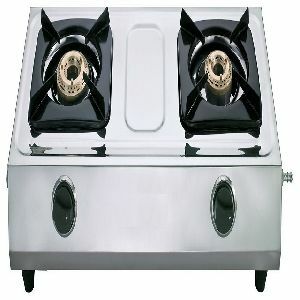 We hold an equipped latest machines to manufacture quality double burner s.s stove (mini-knob). 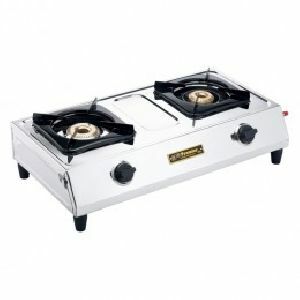 We undertake both different types of burners. 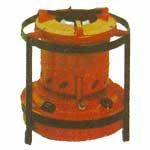 Utilization of sophisticated technology and comprehensive quality control systems back us to ensure that our customers double burner s.s stove (mini-knob) engineered exactly to their specification. 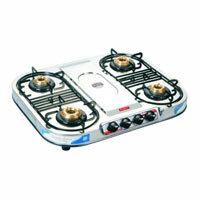 One of the best leading supplier of stainless steel lpg gas stoves.